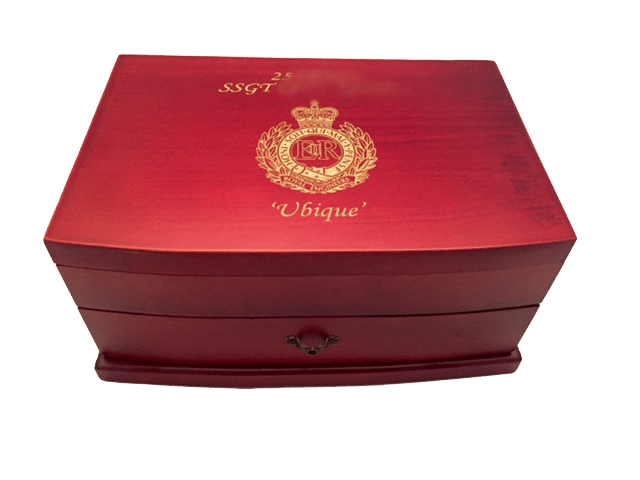 Personalised Clutter Boxes, Medal Boxes, Mugs, Desk Toblerones, Notebooks, Phone Cases, Badges, Glassware, Clocks, Laser Engraving, Engraved Slate and more! 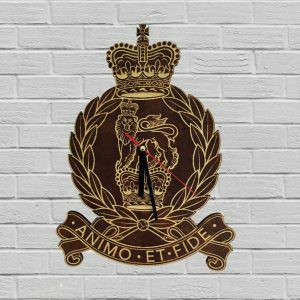 ‘Pronto Images’ is a military family business based in Northamptonshire. 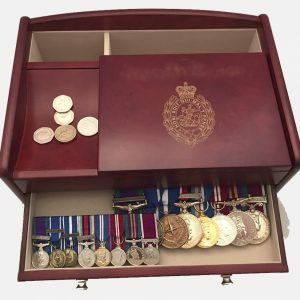 We supply a huge range of custom designed Clutter Boxes; perfect for any ‘Mess’ or ‘Regiment’ looking for their very own bespoke design. 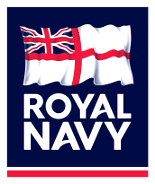 There is a no minimum order requirement, and we offer generous discounts on all bulk orders. 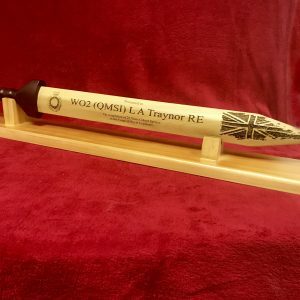 Our items are produced using only the best quality ink and substrates, and any product within our range can be fully personalised. 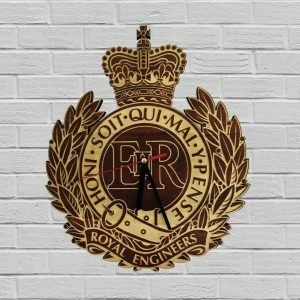 These wooden Rudis’s can be engraved with any logo/cap badge or unit emblem, they make the ultimate leaving gift, from either a unit or on completion of a full career. 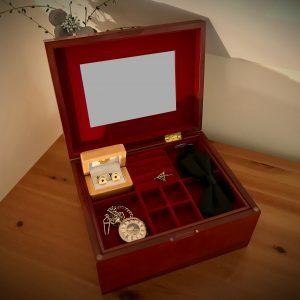 This listing comes complete with the wooden stand as is shown in the photos, they can also be engraved on the rear for an additional cost. 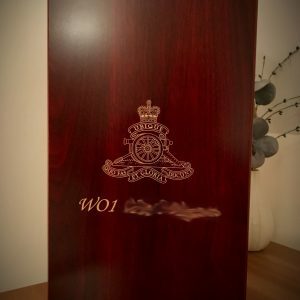 These boxes can be engraved with any cap badge/emblem along with whatever text or message you need. 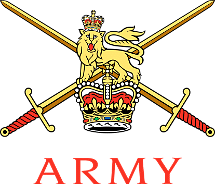 They are then hand painted in Gold Leaf paint making them look truly striking!! 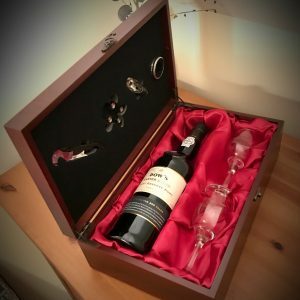 There is also an option to add a fully personalised engraved bottle of port, like in the listing HERE, making a saving of £6.99. 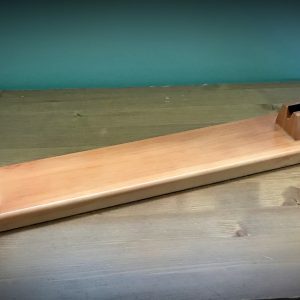 These slate pieces measure 300mm x 200mm and make a perfect presentation piece, they are mounted to a solid mahogany MDF board that has a clasp on the back to enable easy hanging. 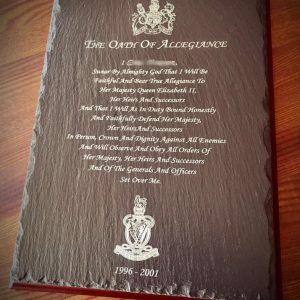 They can be personalised with the persons name, cap badges or badges, and any dates or inscription at the bottom. 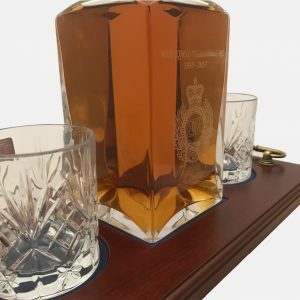 These Glass Krosno Decanters hold 1 litre of your favourite tipple and can be engraved with your chosen cap badge/logo and then personalised further text both above and below the emblem if needed. 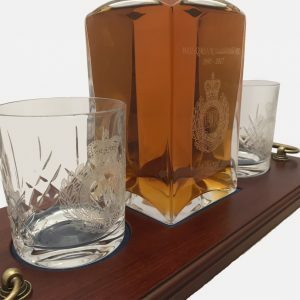 This set comes supplied with 2 panel cut crystal glasses and a mahogany tray that will show off your pride and joy in its rightful place. 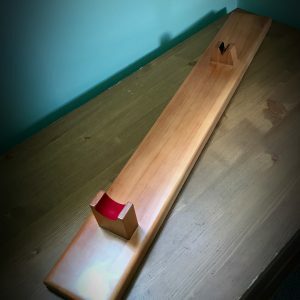 I hope you agree that they are a fab idea! 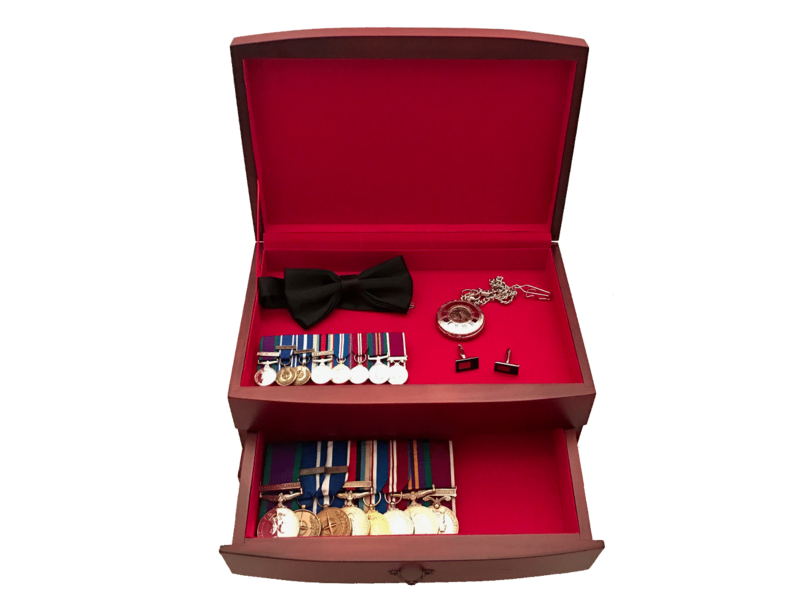 No more searching for your Bow Tie or Cufflinks 30 mins before the transport arrives for the mess function!! 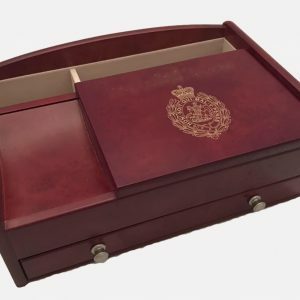 These desktop valets are an alternative for our Mess Kit Clutter Boxes they come in Dark Burlwood Walnut finish or Matt Black, Covered compartment with two open sections and one set of ring rolls along with a Coin scoop. 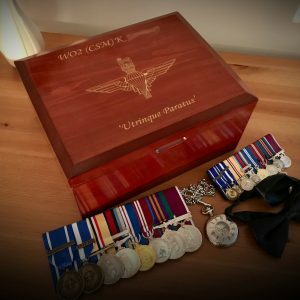 Browse our full range of Mess Kit Clutter Boxes or visit our shop for other personalised products. 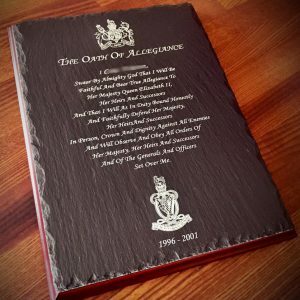 Alternatively you can contact us to request a bespoke order.